Concord NH real estate is as diverse as its population. 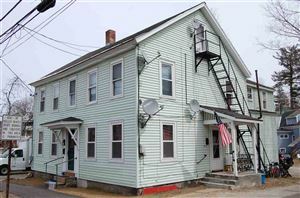 From mainly rural locations to the heart of the city, Concord NH homes are quite plentiful.Concord is the capitol city of New Hampshire, and the county seat of Merrimack County where it is located. It has a population of more than 42,000, the third largest in the state. Concord is located 66 miles from Boston, Massachusetts. The Merrimack canal, which was constructed in 1807 as a shipping corridor, connects Concord to Boston by waterway. See all Concord NH Real Estate. The history of Concord is quite rich, as you might imagine. The original settlement in 1659 was called Penacook, from an Indian word meaning “crooked.” In 1733, the town of Rumford was incorporated at the site. In 1765, there was a border dispute between Rumford and Bow that turned rather ugly. Once it was resolved, the Governor at the time renamed Rumford to Concord, to commemorate the new agreement between the former adversaries.Concord was named as the capitol city of New Hampshire in 1808, and the State House was built in 1818. It is the oldest continuously used State House in the nation. Many other historical buildings, including some Concord NH homes from the 18th century, still exist and are widely appreciated for their historic beauty and value. One example is the Walker-Woodman House, the oldest house still standing in the city. The historic Eagle Hotel has had many well known guests. The restaurant hosted Presidents Grant, Hayes, and Harrison. Franklin Pierce spent the night before his inauguration at the hotel. He lived in Concord both before and after his presidency. Granite quarries were an early important industry in Concord. The Library of Congress building is built of Concord granite. Furniture making was another large industry in the city’s history. Today, many people in Concord are employed in some way by the State government. The health care industry is the second largest employer. When you are looking at homes to buy in Concord NH, work with a NH Real Estate Agent like Moe Archambault, who is familiar with Concord NH real estate. Moe knows the area and can help you find exactly the property that fits your needs and desires. He also knows the real estate industry so he can take care of complicated paperwork and procedural matters for you.